Preheat oven to 200°C (400°F). Place the breadcrumbs, parsley, garlic and lemon rind in a bowl and mix to combine. Dust the veal in flour, dip in the egg and press into the breadcrumb mixture. Heat the oil in a non-stick ovenproof frying pan over medium heat and cook the veal for 2–3 minutes each side. Transfer pan to the oven and cook for a further 10–12 minutes or until cooked through. Place the peas in a bowl and lightly crush with a fork. Add the mint, chervil, salt and pepper and stir to combine. 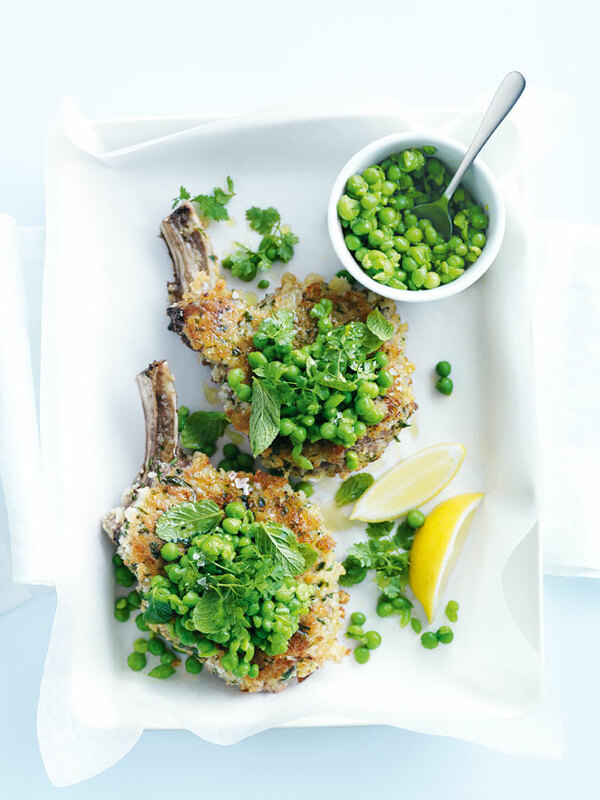 Serve the veal with the peas and lemon. Serves 4.